This crockpot jambalaya practically cooks itself. If you pre-cook the rice, you will get a better finished dish as it has a tendency to 'blow' and become sticky if it's cooked too long. That can happen within a few minutes and you're left with a sticky mess. 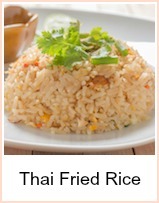 There are instructions if you want to cook it all in one - it does improve the flavor of the rice and I normally get it right, but it's up to you. So this is basically using some leftovers with mixed fresh ingredients to make a fantastic onepot meal. You use the crockpot to make the sauce and stir in the cooked bits at the end. 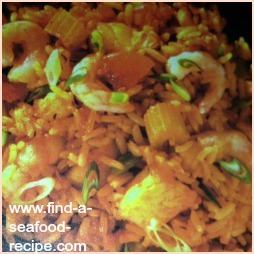 Put everything bar the chicken, prawns and rice into the crockpot, stir thoroughly and cook on LOW for 4 to 5 hours. This will make a lovely sauce. Stir in the cooked bits, the last three items - make sure it is thoroughly mixed and leave a further 30 minutes on HIGH. Check there's enough liquid - if not, add some more fish/chicken stock or water. It's that easy - serve garnished with some fresh chopped parsley and a green salad if you want - it's a lovely hearty meal for four people without though. 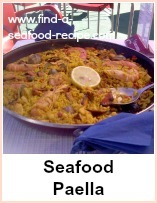 You can use a pack of mixed seafood for this recipe if you prefer. 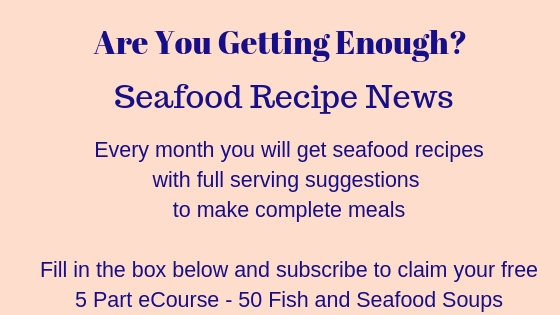 TIP Rice - Easy cook rice is the best if you want to cook in the crockpot from raw - it will stand an hour or two maximum before it becomes sticky and blows - add it UNCOOKED to this recipe one to two hours before you serve if that's what you'd prefer to do. You will need to add 2 cups (a pint) of stock at the same time - make sure the water is near to boiling so it doesn't affect the cooking time too much. Put it in for one hour, stir and check it - then if it's not quite cooked, leave it a bit longer, say 30 minutes - stir and check. I do it this way, and it's fine - some people report it goes stodgy and they really don't like it. 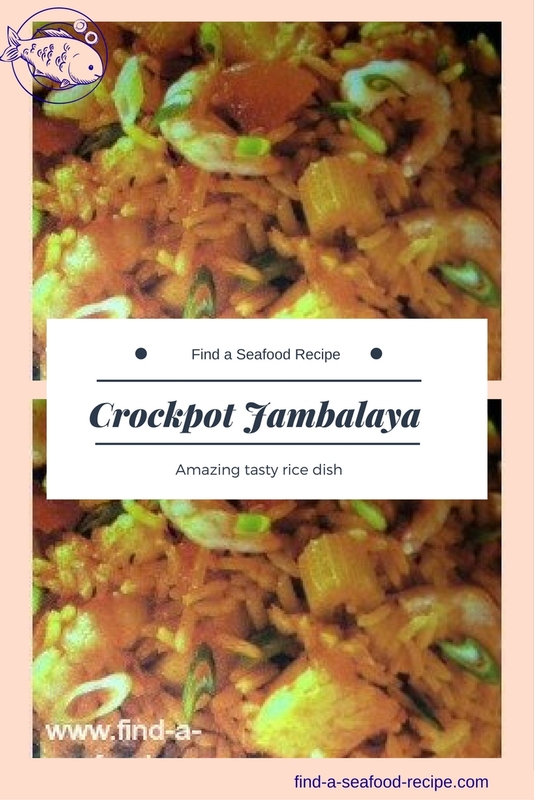 A fabulously tasty but easy crockpot jambalaya. 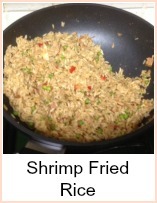 You can use some pre-cooked rice or cook it in the slow cooker. It's such a superb way of cooking this spicy Southern States meal.